AVID LLC has developed a multidisciplinary optimization code (AVID OAV) for the design and analysis of ducted fan and multi-rotor VTOL UAVs such as the iSTAR and Kestrel vehicles. AVID OAV is a bottom up UAV system design tool that enables the user to build a vehicle and optimize its design from a limited set of data. As a complimentary tool of AVID ACS, AVID OAV is geometry driven and incorporates advanced methods for performing critical evaluations of all aircraft design disciplines. 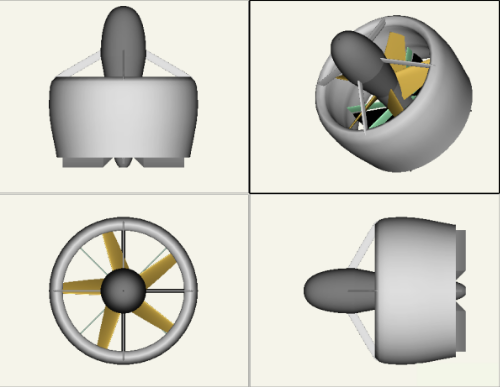 In addition to VTOL ducted fans, AVID OAV has been demonstrated for use with fixed and rotary wing concepts. AVID has developed libraries of payloads, avionics, electronics, engines, and batteries based on the results of AVID OAV optimizations.